AMAZING COMET PIX: NASA's STEREO-B spacecraft continues to beam back jaw-dropping photos of Comet Pan-STARRS, which has a beautifully structured tail. 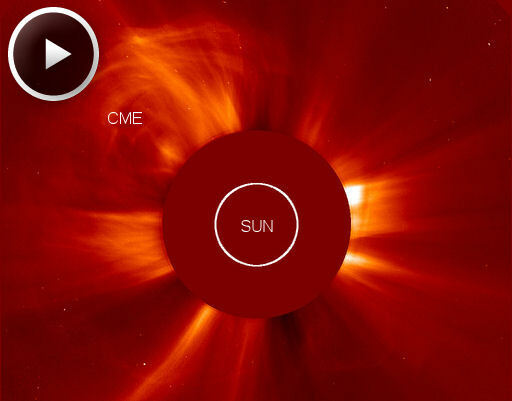 Some of the images show the comet dodging CMEs! Tune into the Twitter feed of comet expert Karl Battams for the latest images. THE MAGNITUDE OF COMET PAN-STARRS: "There seem to be a lot of pictures, but a shortage of magnitude estimates for Comet Pan-STARRS," says Richard Keen, professor of atmospheric sciences at the University of Colorado. "I saw it for the first time this evening, and got a magnitude estimate before the comet slipped behind a narrow cloud bank." Keen is an expert observer of astronomical brightness, especially that of lunar eclipses which he uses to study aerosols in the stratosphere. "The comet is magnitude +0.2 with a short, but bright vertical tail. It was quite visible to the unaided eye. 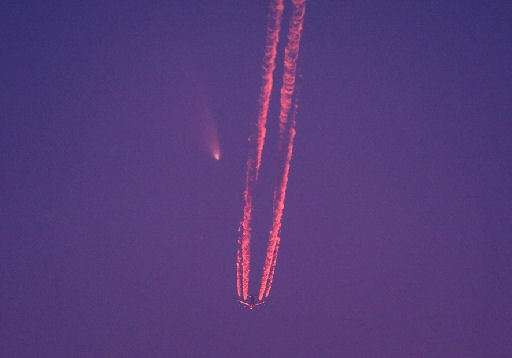 After the [head of the comet] set behind the mountains, the tail was visible for two or three more minutes." "The comet looked fantastic through my 10x70 Fujinon binoculars, and it was barely visible to the naked eye," says photographer John Chumack. Note: "Barely visible" is an improvement over recent nights. Visibility should continue to improve in the nights ahead as Pan-STARRS moves away from the sun. Keen's magnitude estimate of +0.2 means that the comet is approximately twice as bright as a first magnitude star. When it is framed by darker skies, it will really stand out. Tonight when the sun goes down, step outside, face west, and take a look: sky map. On March 15, 2013 there were 1384 potentially hazardous asteroids.